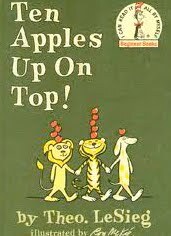 Ten Apples Up On Top is about animals who try to make the apples fall off the animals' heads. I liked it because they had 10 apples up on their heads. My favorite part was when they hop with four apples. I would recommend this book to kids who like The Cat in the Hat. 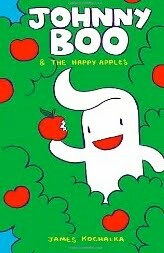 Johnny Boo & the Happy Apples is about a ghost who eats a sad apple and gets a super floopy noodle arm. I liked it because the ghosts are so cute. My favorite part was when the apple fell on the Ice Cream Monster's head. It's sad because Johnny Boo and Squiggle go into the Ice Cream Monster's tummy. It's happy when Johnny Boo super-booed. I would recommend this book to kids who like monsters and ghosts. aww i LOVE it!!! I need to do this with my girls this year! 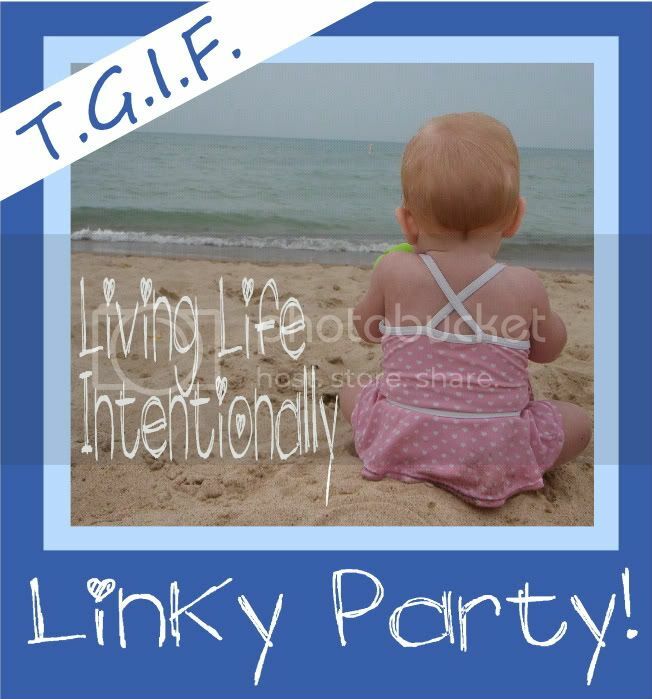 thanks for linking up, hope you link up each monday! plus you have an entry for the awesome giveaway! This is great! Cute drawings, too! This is such a classic idea, I never get tired of it. So much fun for kids to paint with unusual objects and those darling drawings are wonderful! I had planned already for us to do that tomorrow! Your prints are great. Oooh how cute are these selfportraits?! Love the apple prints too. We haven't "much printing" yet, but will have to have a go soon. I bet Red Ted would love it! "Thank you" for stopping by!! So pleased to have you join in Kids Get Crafty!!! What fun I love the reading and crafting. I am still to play with apple and potato prints. You know we never did apple prints with all of our different apple projects we did last year. I kept meaning to. I love it! His drawing is just adorable. We did something similar, as a math activity, once. We used apple stickers. Apple prints would've been more fun. I love the drawings. They are wonderful!!!! Love apple printing! Love that book too! I was perusing the web, looking for great "Dr. Seuss" activities to share with the pediatric therapy professionals we serve, and found your Ten Apples Self Portraits They are darling! I was wondering if I could have permission to feature the photo on our Instagram feed.